For health care providers that prescribe, dispense, and administer controlled-substance medications, the legal risks of non-compliance with the Controlled Substances Act and other federal health care laws include the risk of investigation by the Drug Enforcement Administration (DEA). The DEA, which often works in collaboration with the Department of Justice (DOJ), Department of Health and Human Services (DHHS), and various other federal agencies, is responsible for investigating providers suspected of engaging in prescription-related health care fraud – including fraud contributing to the nation’s opioid abuse epidemic. When investigating health care providers, the DEA has a number of tools at its disposal. These tools include two types of search warrants: (i) a criminal search warrant, and (ii) an administrative inspection warrant (or administrative search warrant). While receipt of either type of warrant is a matter to be taken extremely seriously, it is important to know which type of warrant the DEA is using to investigate your business or practice. Each has different potential ramifications (although any type of federal health care fraud investigation can ultimately lead to criminal charges), and providers’ obligations when served with each type of warrant vary. When the DEA is working with other agencies to determine whether prosecutors should pursue criminal charges, it must obtain a search warrant from a federal judge before entering your premises. In criminal investigations, health care providers and their personnel are protected by the Fourth Amendment to the U.S. Constitution, which prohibits unreasonable searches and seizures. This means that federal judges can only issue search warrants with “probable cause.” And in order to demonstrate probable cause, DEA agents must typically submit an affidavit with facts indicating some form of health care fraud involving controlled substances. return the warrant to a designated judge. If a criminal search warrant is issued without probable cause or if the DEA executes the warrant in a manner inconsistent with the directions provided by the judge, then any evidence obtained as a result of the DEA’s search may be deemed inadmissible in court. This includes records and files seized during the search as well as electronic records accessed off-site and evidence subsequently obtained in reliance on the results of the unlawful search (referred to as “fruit of the poisonous tree”). As a result, when defending against criminal charges subsequent to a DEA search and seizure, it is critical to thoroughly analyze the warrant and all related proceedings in order to determine whether their may be grounds to argue for inadmissibility. In addition to conducting criminal investigations, the DEA also has the authority to conduct administrative inspections (or “audits”) under the Controlled Substances Act (CSA). When conducting an administrative inspection, DEA agents have two ways to obtain information from targeted health care providers. The first way is by presenting the target provider with a Form 82 (Notice of Inspection of Controlled Premises). When the DEA presents a provider with a Form 82, it must obtain the provider’s informed consent prior to conducting an inspection. This requires a written acknowledgement that the provider is aware that it is not constitutionally required to submit to the inspection, and that any evidence obtained during the inspection may be used in subsequent administrative or criminal proceedings. there is an imminent threat to public health or safety and there is not sufficient opportunity to obtain a warrant. Unlike criminal search warrants, administrative inspection warrants can be issued without proof of probable cause. The DEA must merely describe the nature of the investigation and the items or information sought to be inspected. Yet, unlawfully refusing to comply with an administrative inspection warrant can still result in arrest. And as a result, any provider who has been served with an administrative inspection warrant should seek legal counsel immediately. The DEA conducts random administrative inspections as well as inspections triggered by whistleblower allegations and anomalies in the providers’ federal health care benefit program billing data. While these investigations are administrative in nature, (i) administrative inspections can lead to revocation, suspension, or denial of DEA registration; and (ii) it is not uncommon for information seized during administrative inspections to trigger criminal investigations. 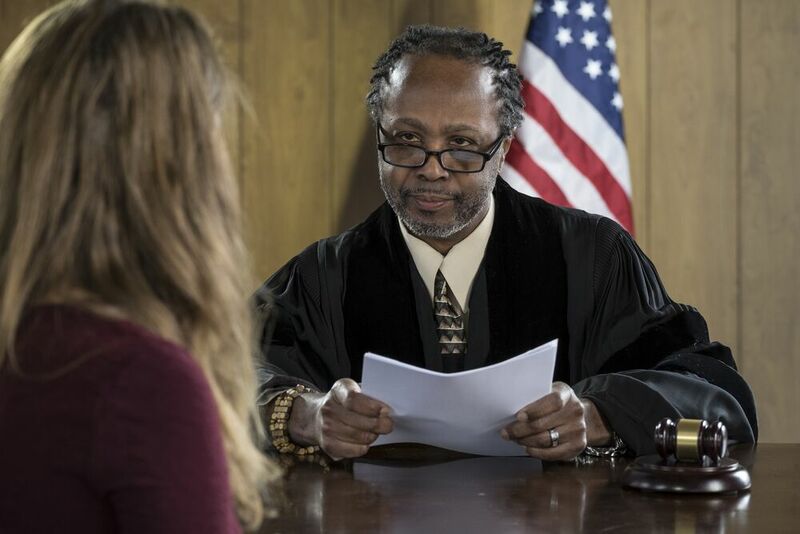 As a result, regardless of whether you have been served with a criminal search warrant, an administrative inspection warrant, or a Form 82, your immediate course of action should be to speak with an experienced health care fraud defense attorney. For more information about protecting your rights during a DEA investigation or inspection, you can contact the law offices of Oberheiden & McMurrey, LLP for a free initial consultation. To speak with a member of our health care fraud defense team in confidence, please call (888) 519-4897 or get in touch online now. This information has been prepared for informational purposes only and does not constitute legal advice. This information may constitute attorney advertising in some jurisdictions. Reading of this information does not create an attorney-client relationship. Prior results cannot guarantee a similar future outcome in your case. Oberheiden & McMurrey, LLP is a Texas LLP with headquarters in Dallas. Mr. Oberheiden limits his practice to federal law.